1,000 - London has more than 1,000 conference venues to suit every budget, size and sector, from purpose-built conference centres to unique historical sites. 800 - people can be accommodated for a reception on the entire London Eye. Alternatively, each capsule can be hired privately for groups of up to 25 people. 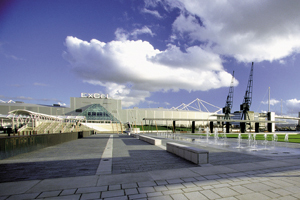 5,000 - capacity at Excel London's auditorium, the UK's largest. It also has London's largest banqueting hall for 3,000 and a multi-function conference suite for 2,500. 15 - new outdoor event spaces will be available for corporate events in the Queen Elizabeth Olympic Park from 2013. 100,000+ - hotel rooms in London, according to London & Partners, but it predicts this could be as high as 104,000 by the end of 2012 due to a sustained phase of openings, and should continue growing with so many pipeline developments. 7 - new permanent sporting venues created for the London Olympics, including the Olympic Stadium, Aquatics Centre and Velodrome. Venues will be available for corporate hire from as early as spring 2013. 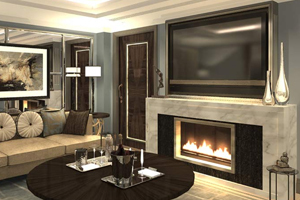 36 - luxury suites at The Wellesley, which claims to be London's first six-star hotel and is due to open in Knightsbridge at the end of 2012. The top floor will be a four-bedroom suite with views over Hyde Park and with its own private lift. 43 - universities and colleges in the capital, meaning London is home to plenty of academic experts and speakers in a number of fields. 53 - Michelin-starred restaurants in London in the 2012 Guide, including two three-starred - Alain Ducasse at The Dorchester and Gordon Ramsay - and eight with two stars. 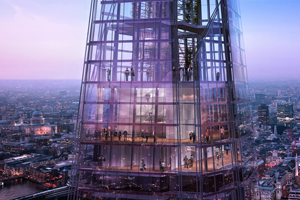 40 - miles is reportedly how far delegates attending events at The View from The Shard will be able to see - presumably on a clear day!